You're sure to love watching the transformation of your home from lines on a blueprint to a space where you and your family can thrive. At New Design Image Group LLC, we're committed to supporting you throughout the entire process. Our designers listen to your ideas in order to draw up the residential plans. Before you know it, you and your loved ones will have the perfect environment in which to live, work, and play. 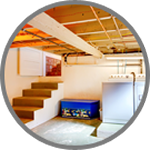 We're passionate about constructing additions on existing homes and remodeling basements. Best of all, we offer affordable rates from start to finish! Every member of our team is dedicated to impeccable customer service. In fact, most of our customers come back to us for subsequent projects. 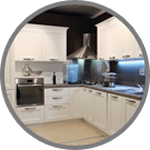 We believe that your home design and process should be enjoyable, rewarding, and productive. Contact us today to request references or to start your design consultation. We love hearing your exciting ideas for your new home. Do good work, and do it at a good price. With New Design Image Group LLC, you get quality craftsmanship. Monday - Friday, 8 a.m. - 7 p.m. Saturday, 8 a.m. - 5 p.m.